WASHINGTON -- The United States voiced its continued support for South Korea Friday after three South Korean businesses were caught importing North Korean coal and iron in possible violation of UN sanctions. The firms brought in 35,038 tons of the commodities on seven occasions between April and October last year, according to the Korea Customs Office. The imports, worth a combined 6.6 billion won ($5.86 million), violated South Korean law and possibly a UN Security Council resolution adopted last August for the North's test-firing of an intercontinental ballistic missile. 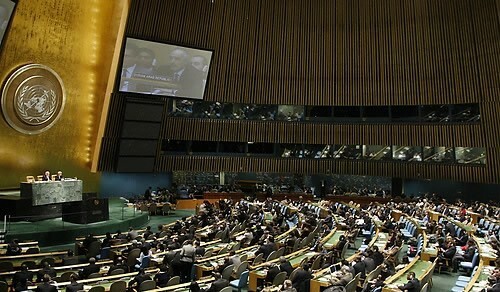 The resolution calls for a ban on North Korea's exports of coal, iron ore and other mineral resources that could generate revenue for the regime's development of nuclear weapons and ballistic missiles. "The Republic of Korea (South Korea) is a faithful and reliable partner in the maritime implementation of UN Security Council Resolutions," Katina Adams, a State Department spokesperson, said in response to a Yonhap query. "The United States and the ROK work closely together on North Korea issues, and remain in close contact to coordinate our unified response to the DPRK." DPRK is an acronym for North Korea's formal name, the Democratic People's Republic of Korea. Without commenting on the charges, Adams added, "We are aware that the ROK government has initiated an investigation."